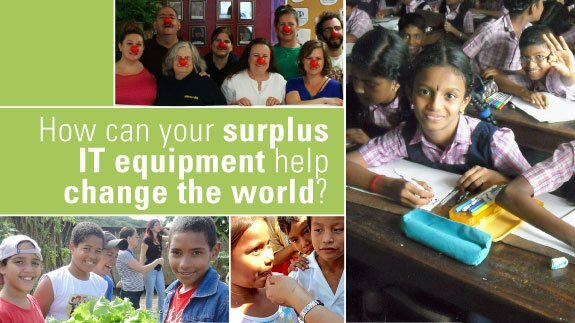 How can your surplus IT equipment help change the world? The remaining value of your outdated IT equipment can make a tremendous difference, now and for future generations, to preserve the environment, further education, and provide opportunities for under-served communities. Some e-waste recycling organizations pledge to donate a portion of their profit or some of the actual hardware to charitable causes. However, you are rarely informed how much of your contribution may actually reach those in need, and no option to determine which mission the donation might support. Most of the value of your contribution may end up going to overhead and to pay employees to refurbish systems that still are sold at a profit to eligible entities and individuals. Now, with the launch of the makeITcount program, you can actually see how much and choose where your valuable contribution goes, and be assured that it goes directly to organizations that are changing the world. Check out https://3rtechnology.com/makeitcount/ for more information on how to make a difference!